Geostokos Limited is owned by a small group of partners and operated by its two Directors, Isobel Clark and Audun Clark. When a particular operation requires it, we are able to draw upon the services of a number of free-lance associates and allied independent consultancy companies. 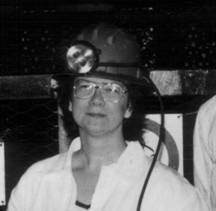 Dr Isobel Clark spent 11 years teaching at the Royal School of Mines in London, was for 9 years Senior Lecturer/Visiting Professor at the University of Witwatersrand and Visiting Professor to Camborne School of Mines in England for 2 years. She is now serving as the first "Professor of Practice" in the Mining and Mine Surveying Department at the University of Johannesburg. A professional and practical industry consultant for over 45 years, she is the Managing Director and main consulting engineer for Geostokos Limited. She is the author of "Practical Geostatistics" (1979) and co-author with Bill Harper of Practical Geostatistics 2000 series of textbooks. All of these books, software and training can be purchased over the Web at http://www.kriging.com/.